Humans and animals have always had a sort of symbiotic relationship. Since the first wolf walked up to a human begging for scraps, they have been some of our closest allies. Of course, they haven’t been our only animal friends. Francine “Penny” Patterson was born on February 13, 1947. 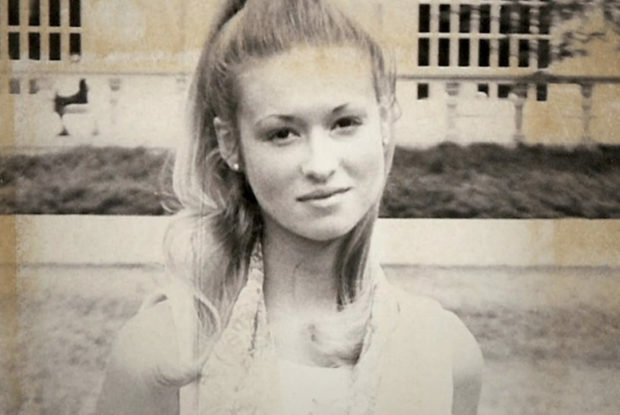 The second oldest of seven children, Penny grew up listening to her father, a professor of psychology, talk about the benefits of education and of using the study of psychology to help others. It was a difficult time for the budding psychologist. Yet, rather than allow despair to engulf her, she pushed herself. 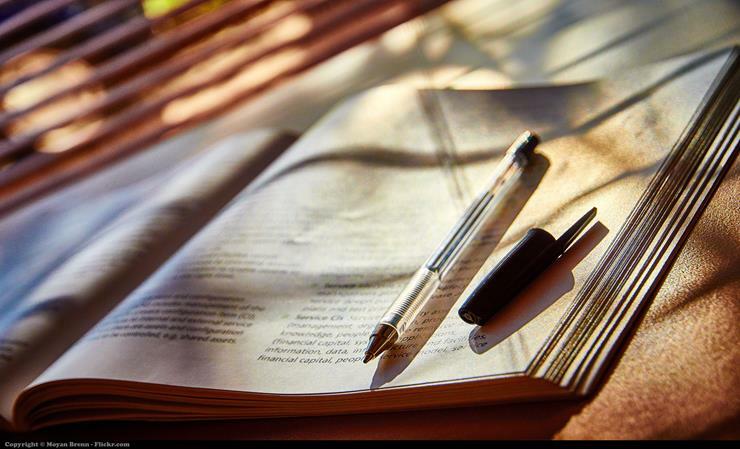 The event triggered a new, even keener interest in developmental psychology. It was a concept that would fuel her life’s work. 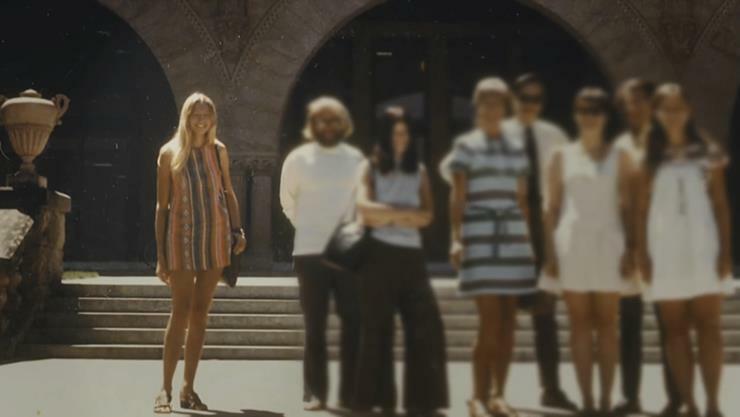 She attended Stanford University in the 1970’s and came up with a rather unusual doctoral thesis. 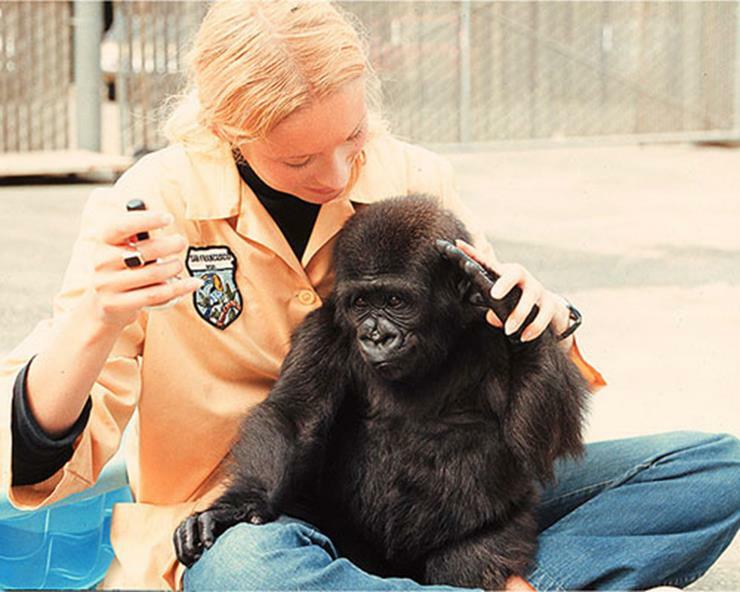 Her dissertation, inspired by her interest in developmental psychology, was on the Linguistic Capabilities of the Lowland Gorilla. But to do that, she’d first need a test subject. 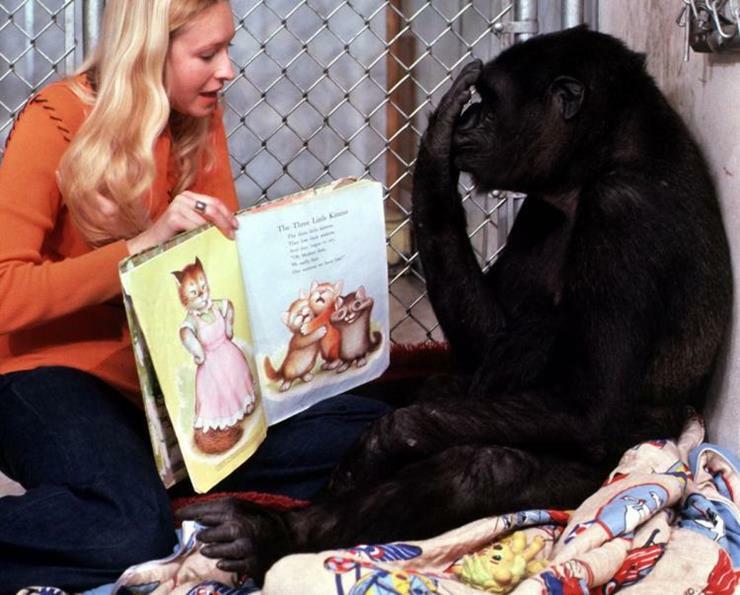 The year that followed saw Penny trying her best to teach the gorilla a means of communication that would not require her to speak. The budding psychologist settled on sign language. Because of her age, the gorilla began to soak up the lessons like a sponge. She was actually learning to talk to Penny. 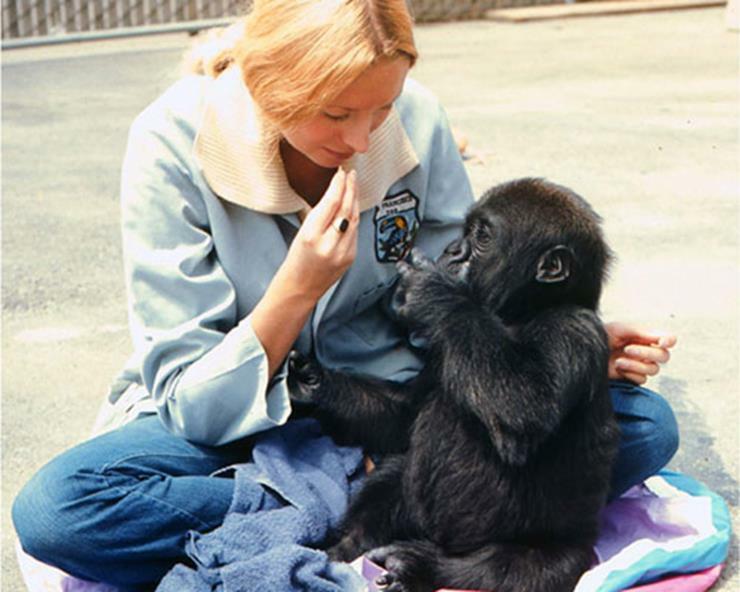 In 1974, Penny had received permission to move little Koko to Stanford, so that the two could learn to communicate in close proximity. 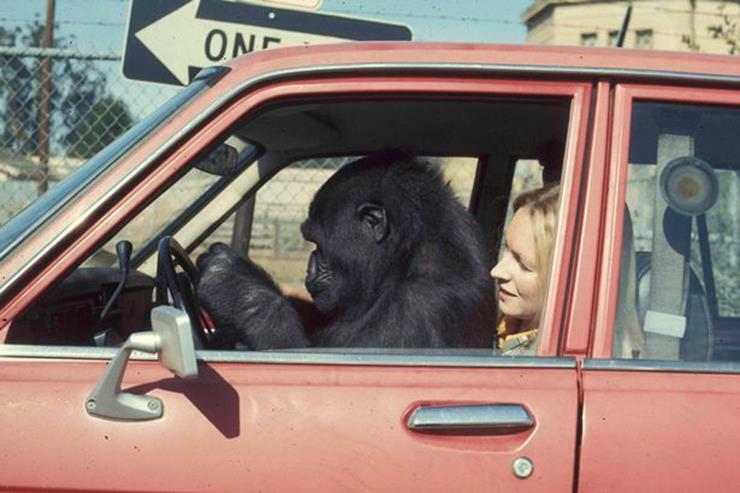 But Koko still belonged to the San Diego zoo, and they wanted their now sexually mature five-year-old gorilla back. They wanted to use her to breed. 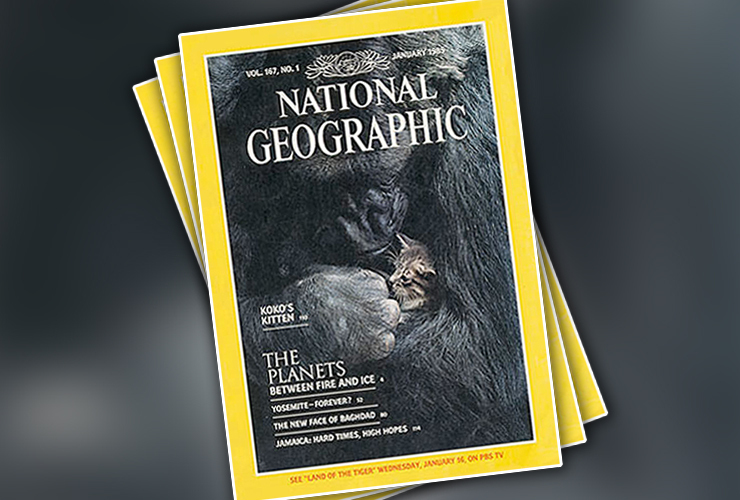 Koko would soon go on to achieve global fame when she was featured on the cover of National Geographic magazine, not once, but twice. 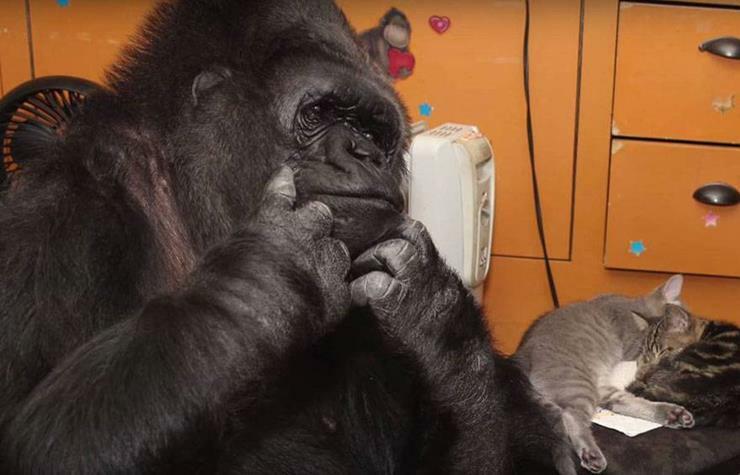 One of the images, which showed her mourning the death of a pet kitten she had come to help care for, showed the world how even this remarkable ape could display true, human emotions. 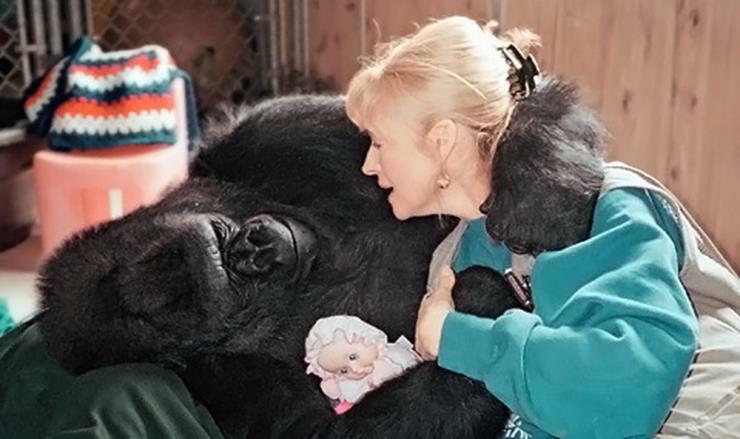 Right from the start, Penny has treated Koko as she would her own child. 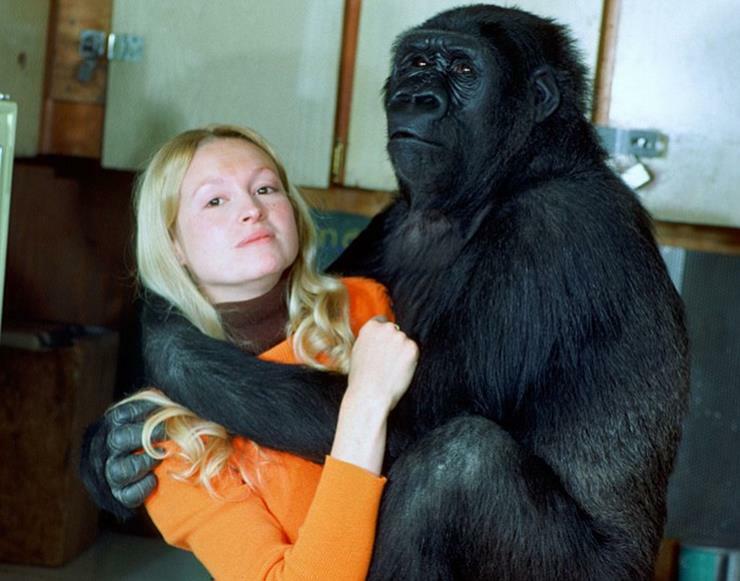 She never once shirked the responsibility that was handed to her on the day that she adopted the amazing ape. 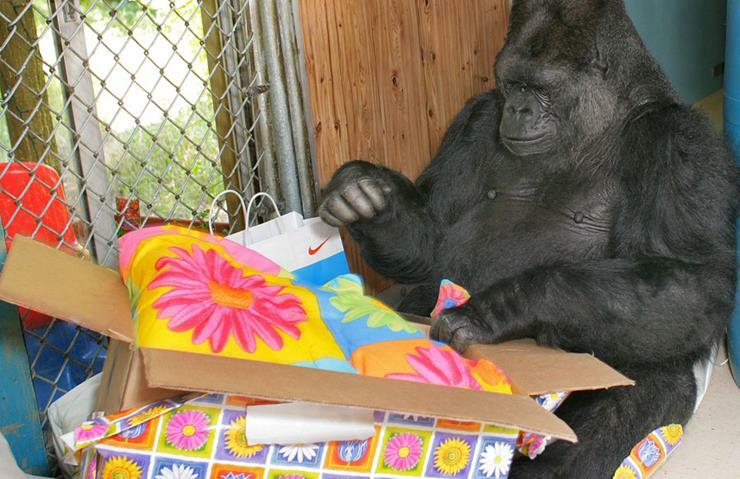 She has even thrown Koko yearly birthday parties, complete with cake, presents, and singing. Patterson’s life still revolves almost exclusively around gorillas. 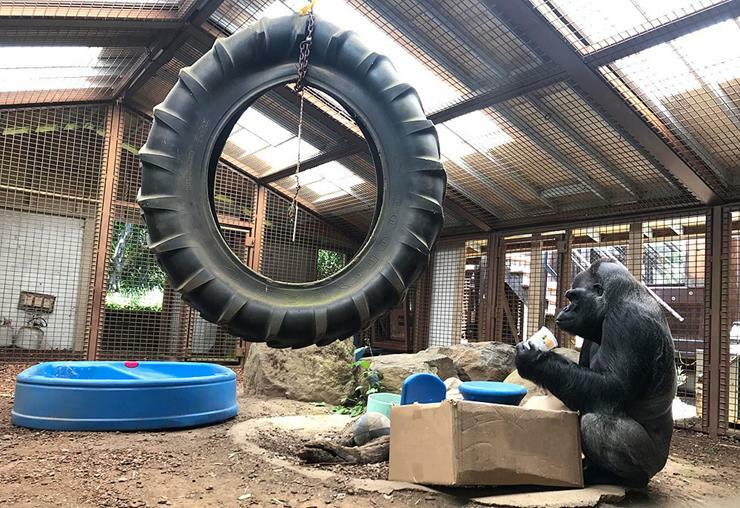 She begins her day at 11 am and busies herself with managerial work for her Gorilla Foundation, which includes taking phone calls, doing interviews, and organizing staff. After that, she always makes time to stop by and see her Koko. 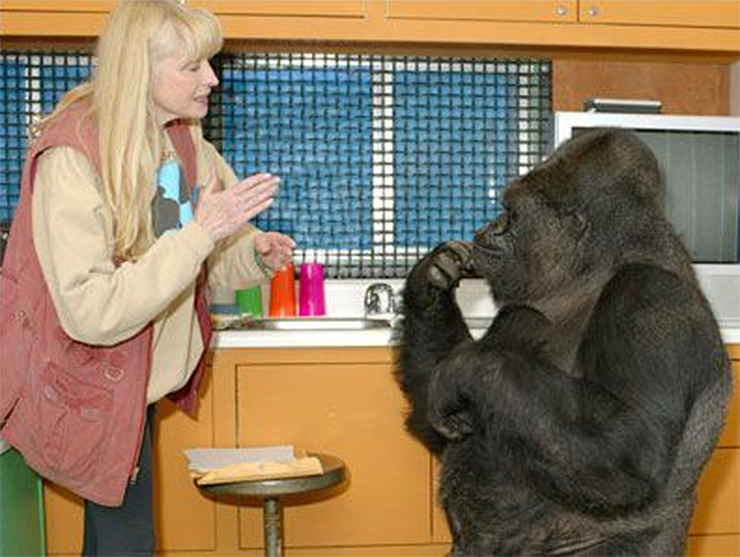 Today, Koko can now sign over a thousand words and communicate complex thoughts and feelings to her handlers. Her remarkable skills of communication have made Penny and Koko world famous. 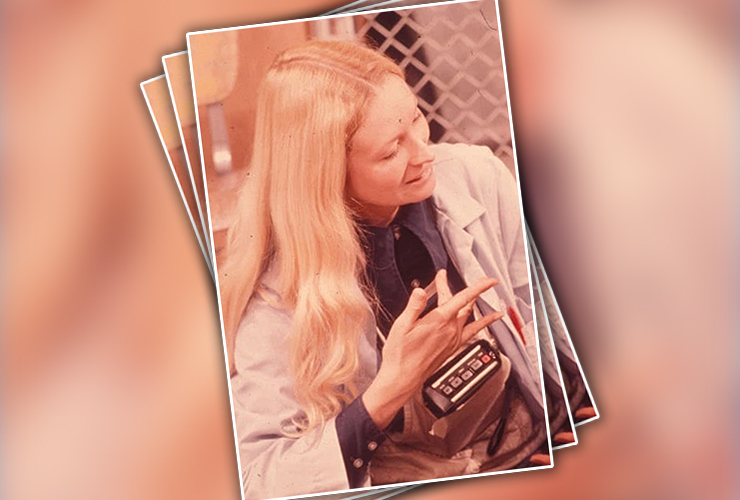 Dr Doolittle-ish hero though she is to some, Penny is also a sort of pariah to the scientific community…. 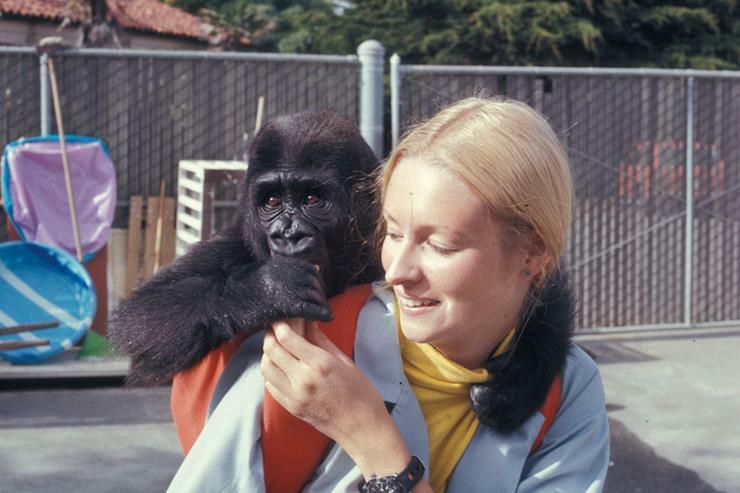 Despite all the interviews, videos, and reports released by Penny about Koko’s amazing skills, there is still precious little evidence that Patterson has made any real progress since the early 1970s. Indeed, since publishing her doctoral thesis more than 30 years ago, not much seems to have changed for her and Koko. There is no doubt that Koko is an unusual gorilla, an extraordinary one, even. 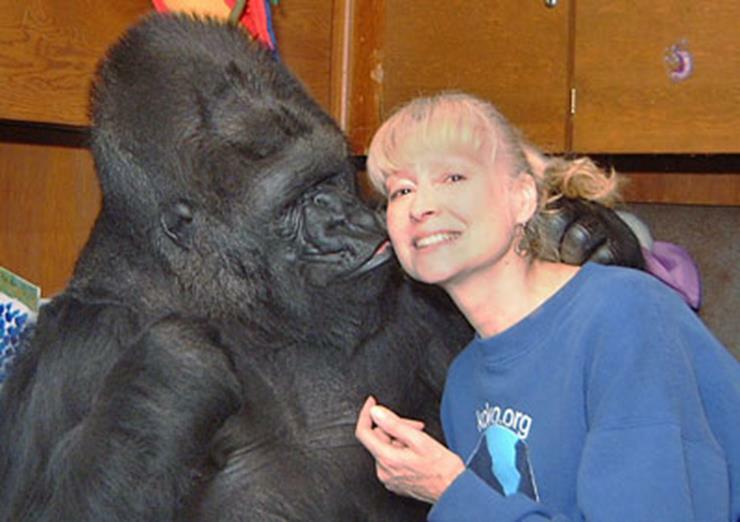 Indeed, for the past 44 years, Patterson has formed an amazing bond with Koko. What started as a scientific experiment has evolved into an unconventional family arrangement in which love and commitment mix with controversy and an impossible dream. 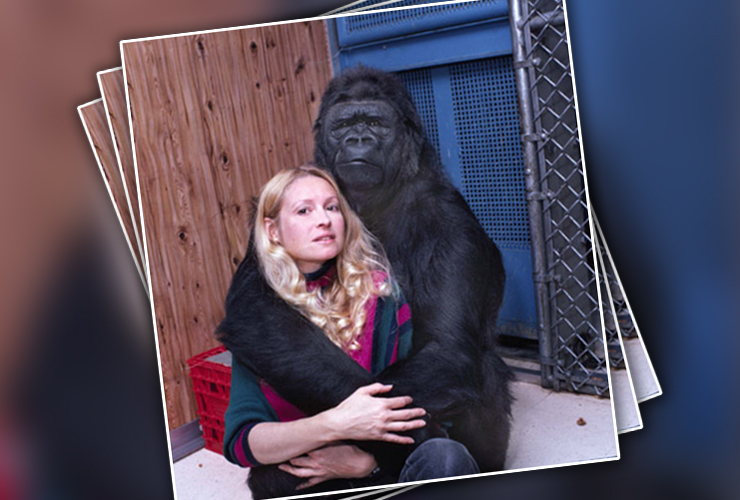 Currently, Patterson serves as the President and Research Director of The Gorilla Foundation, the organization which helps support both Koko and her own research. Whatever theory you believe, whether it’s that Koko is just mimicking her handlers or really speaking to her best friend Penny, you cannot deny the impact she and Penny have had on the world.